It is absolutely beautiful outside... sunny, 75 degrees, slight breeze, birds singing, and I am inside crafting -- lol! 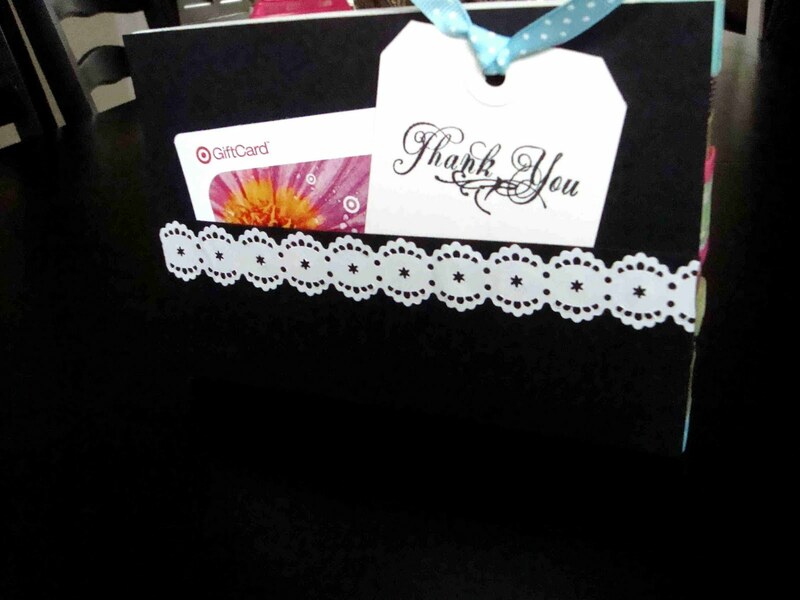 I am still working on a custom album, but thought I would share a little teacher appreciation project I did this week (see photos). 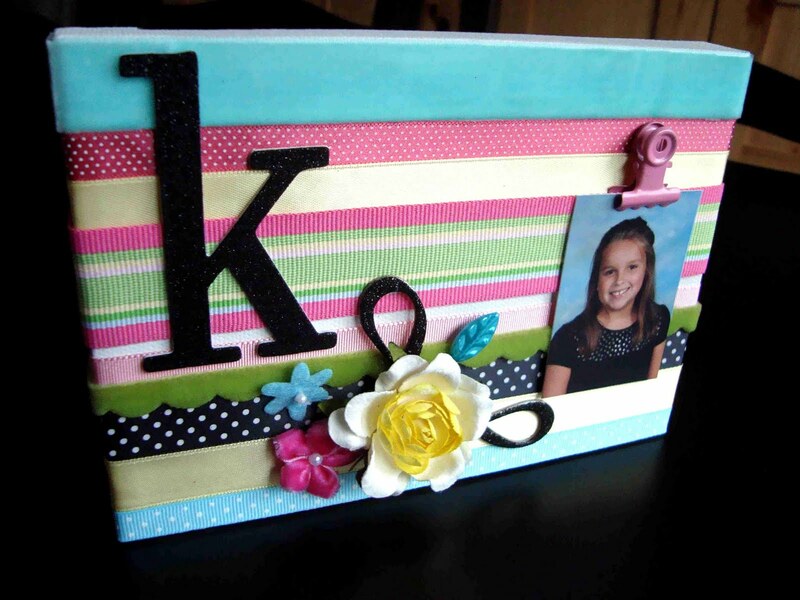 It is super simple... a small canvas from the craft store, some coordinating ribbon, a few embellishments and you have a cute little teachers gift. I used a large chipboard letter for her initial and also created a pocket on the back for notes and a gift card. I may be making one for ebay so I will share when it is complete. OK, time for a break...I think I will get outside for a bit and enjoy this day!